As you all know, we made it to El Paso safely on Sunday, and jumped right into action. Our days have been jam packed, with ample opportunities to meet people and hear their stories. Day One: Our amazing facilitators from World Leadership School, Vickie and Michelle, met us at the El Paso International Airport, and brought us to [our residence] so that we could get settled. There's only one shower to share between the 20 of us, so we created a schedule and are doing our best to stay clean. Before dinner, we met with Rose Mary, the pastor of Cristo Rey, with whom we are partnering this week. She told us her story, and asked us to share our stories and our personal goals for the week. 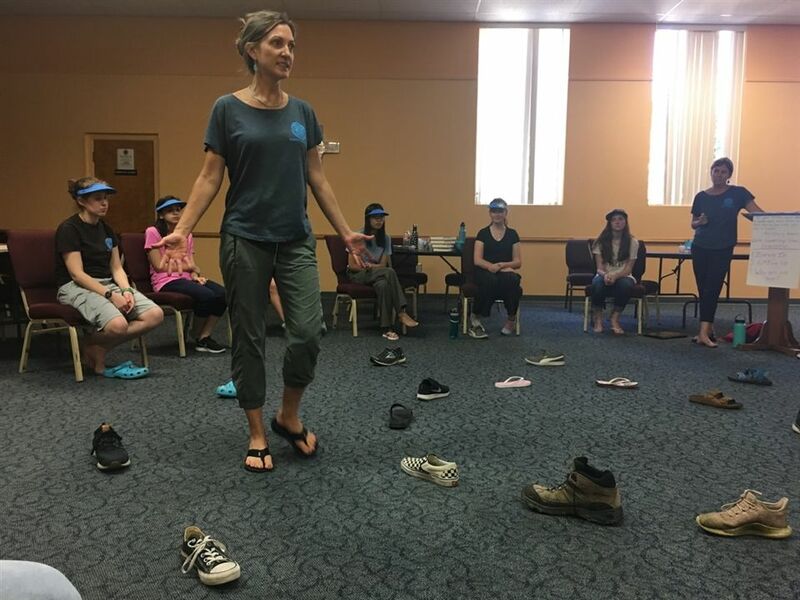 We shared dinner with another group of students, from Boulder, CO. After dinner, Michelle shared her story, and we learned about Anchor and Amping, two tools we have been using to prepare for our days, and to debrief at the end of the evening. Day Two: Today we visited the Colonias, unincorporated settlements outside of the city limits that have very few government services (no electricity or potable water, for example). 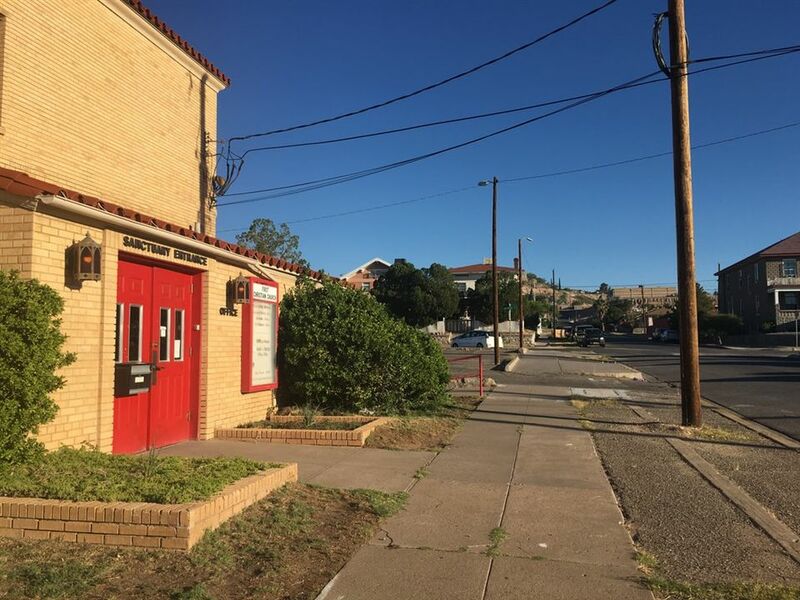 The first woman directs a center that provides a variety of services to the residents of the Colonias, including medical care, recreation, and educational services. At the second woman's home, a very small house, we all crammed inside to hear her story. She told us how she had to leave two of her three children to come to America to seek more economic opportunities and to provide for her family. Her husband went back to Mexico to care for his elderly mother, and was unable to return. She makes ends meet (barely) by selling crafts and picking up other odd jobs, but life is very difficult for her. Despite this, she has an upbeat attitude and an enduring faith. The last woman we met had an incredible story. She and her husband came to America on a "crossing visa," which allows people to cross back and forth between Mexico and the U.S., with the idea that they will only be staying for a few days, to work, or visit with family. They brought their two very young children with them, and had a third child, who was born with a heart condition. In 2011, he returned to Mexico because his mother passed away. Upon his attempted return, Border Patrol stopped him, and would not allow him to enter the U.S. He tried desperately to return several times, paying large sums of money to a "coyote" (a person one pays to help illegally enter the U.S.), but was ultimately thwarted each time and sent back to Mexico. On his final try, in 2014, he made it over, and has been here ever since. However, the 2.5 years of separation took a huge toll on the family, most specifically the eldest daughter. She went through rocky times, but is now on a great path, and she was also there to share with us. As undocumented residents, however, they live in constant fear, and struggle to make ends meet. She makes and sells Tamales, which she shared with us - they were delicious. Like so many others we've met, despite all of their hardships, they maintain a wonderfully positive attitude and a deep faith in God, and are so gracious and happy to share what little they have. It's humbling. After dinner (again with the other group at Cristo Rey), we drove up "Rim Road" to see the sunset; as the sun went down from where we stood, we could see Mexico and the bright lights just over the border in Juarez. It was a beautiful site, and the perfect venue for our evening debrief (what we call our "Anchor"). Day Three: Today we spent 3.5 hours in district court in Las Cruces, NM. They handle criminal cases, the majority of which are immigration related. We had the opportunity to observe preliminary hearings as well as sentencing hearings. We also had the opportunity to dialogue with two magistrates, and a public defender. We learned that in the last year, in light of the directive of the U.S. Attorney General to prosecute all immigration cases (as opposed to just deportation), their case load has increased by almost 5,000% -- this is NOT a typo. 5,000%. In speaking with the public defender, we were moved to hear that he feels he's "defending humanity" -- he's disheartened by the current climate, but urged us to continue to learn more about immigration and to make our voices heard. After court, we ate lunch together in a great restaurant called La Posta, where we had authentic Mexican food, and we had a little time to explore and shop. 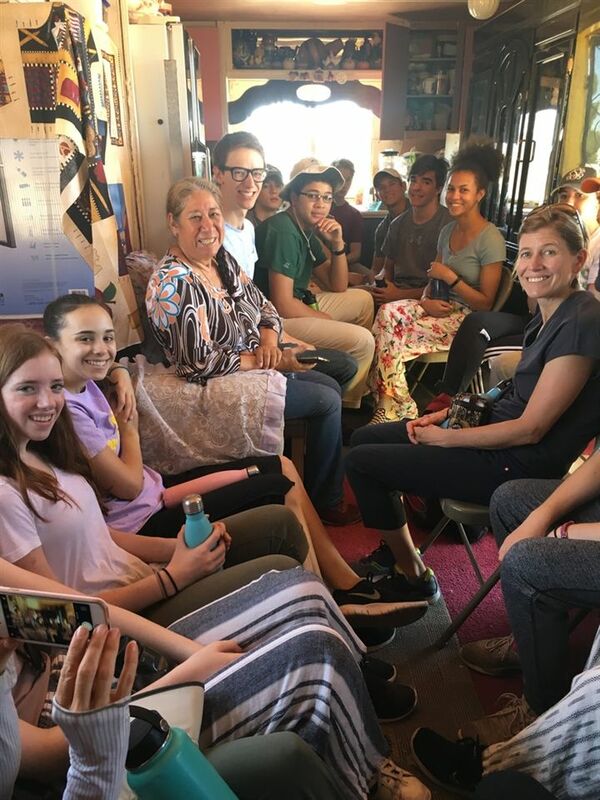 Upon our return to El Paso, we went to Cristo Rey to spend time with the campers, who spend their afternoons at the church. They were adorable and full of life and enthusiasm, and we can't wait to spend more time with them. We had a short break, and then returned to Cristo Rey for dinner and to hear from two members of their congregation. Like those stories we heard before, their lives have been full of hardship, yet they remain upbeat and have such a profound faith in God. 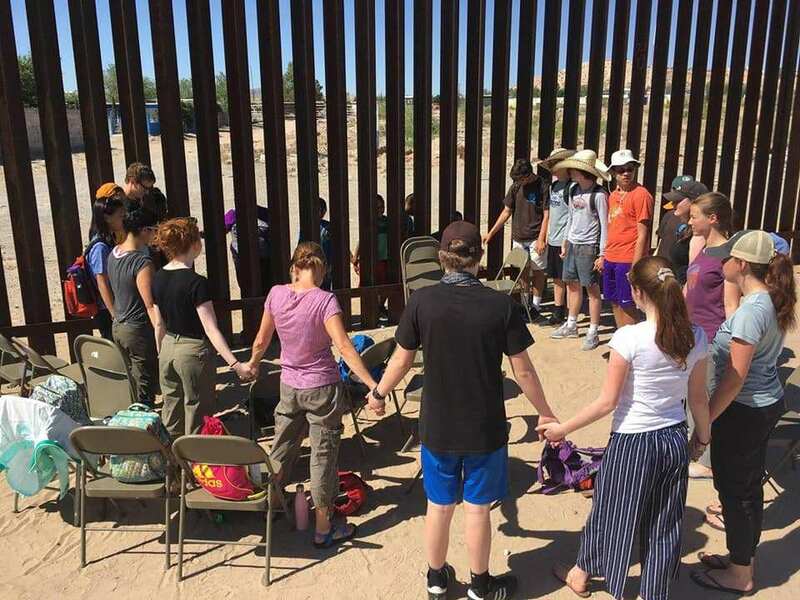 That said, they live in constant fear, and hope that more people will come to places like El Paso to learn about what's really happening with respect to immigration, and not just rely on what they see on TV or read in the newspaper. Our days have been long, impactful, moving, and inspiring. We will share more when we have time to blog again -- we miss you and can't wait to see you and share all we've experienced. 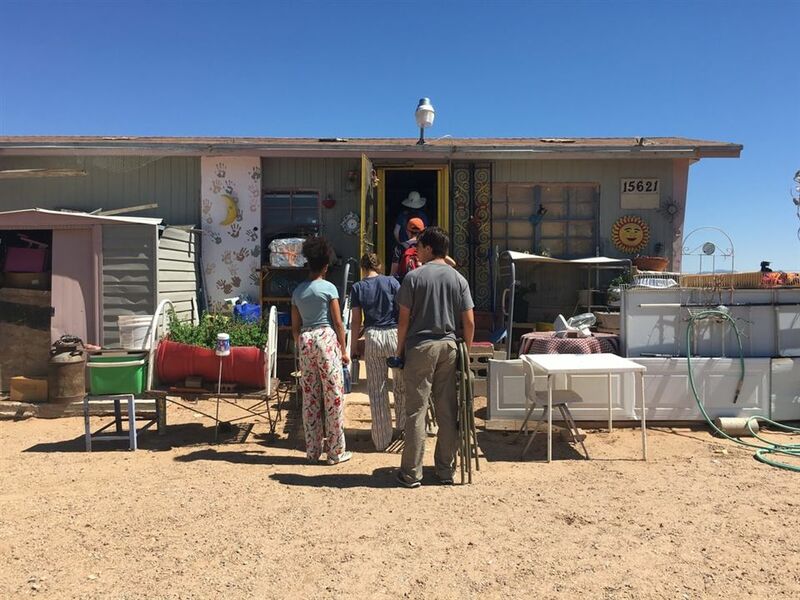 Day Four: After our morning ritual of "Amping,", we headed to downtown El Paso to visit Annunciation House, whose mission is to accompany the migrant, homeless, and economically vulnerable peoples of the border region through hospitality, advocacy, and education. 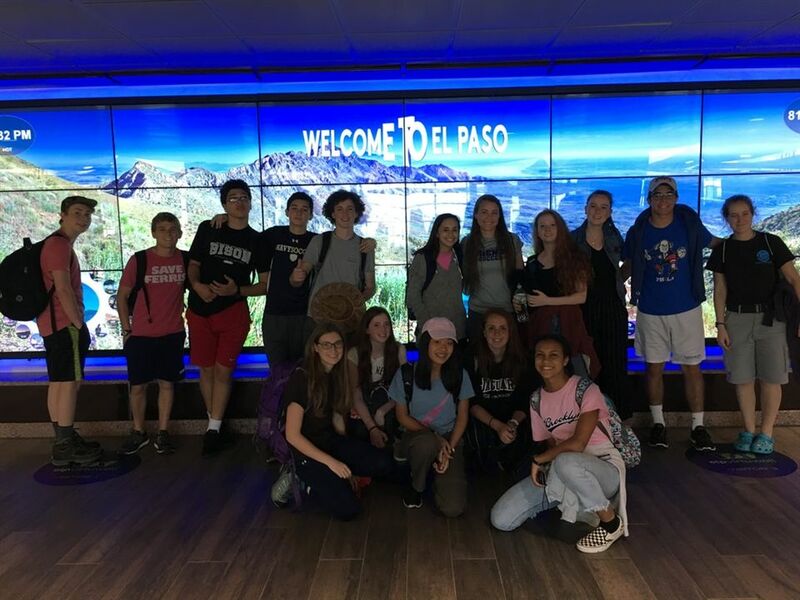 We had a brief tour, and then had a little time to explore downtown, what's referred to as "Segundo Barrio," where we visited some shops, and bought some coffee M&Ms (delicious). We spent the afternoon with the campers at Cristo Rey, doing a variety of fun games and activities, including a pick-up soccer game. We ended the evening with dinner at Cristo Rey with the other student group, and heard from some speakers impacted by immigration. We decided to end the day back up on Rim Road, which has a beautiful view of El Paso and Juarez, and held a 30 minute meeting for worship. It was a very powerful day. Day Five: After breakfast, we drove to the U.S./New Mexico border (we were literally right at the "wall"). 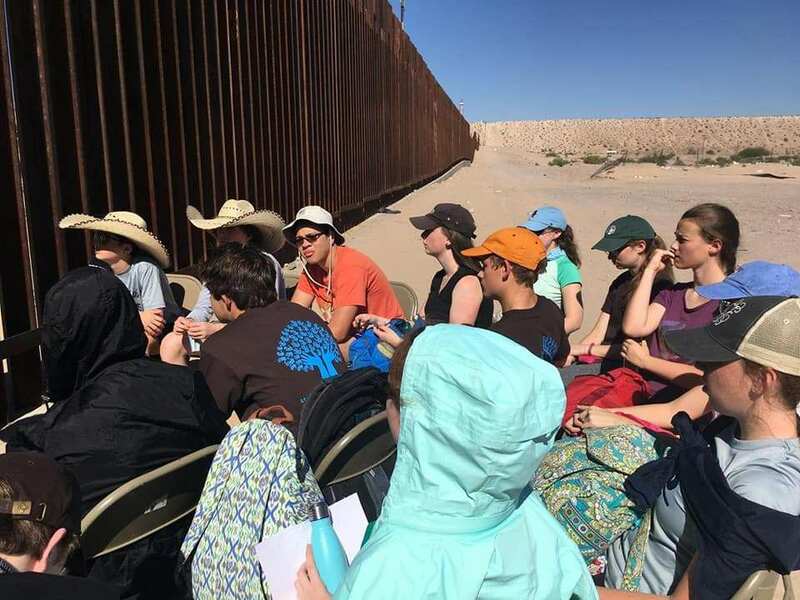 We spent the first hour speaking "through the fence" with community members from Juarez, who gave us a lot of great information about the situation. There were also several adorable children on the other side, including our new friends Victor (age 10), Hector (age 10), and Esmeralda (age 7). We shared snacks and cold water with the kids, asked them questions about school (Victor loves matematicas; Hector loves to read) and sports (they love La Copa Mundial (World Cup). After finishing with our friends from Juarez, we were visited by two folks from Border Patrol, Agents Quintero and King. They were very gracious with their time and with providing us with information from the perspective of law enforcement. The big takeaway from them was that their job would be much easier if the process of coming to America was more streamlined. It was fascinating to learn about both sides of the issue (both literally and figuratively). We spent the afternoon with the campers from Cristo Rey. Along with the other student group, we took the kids to a water park, where we had a chance to have fun, cool off (the temperature hovered around 105), and eat some ice cream. 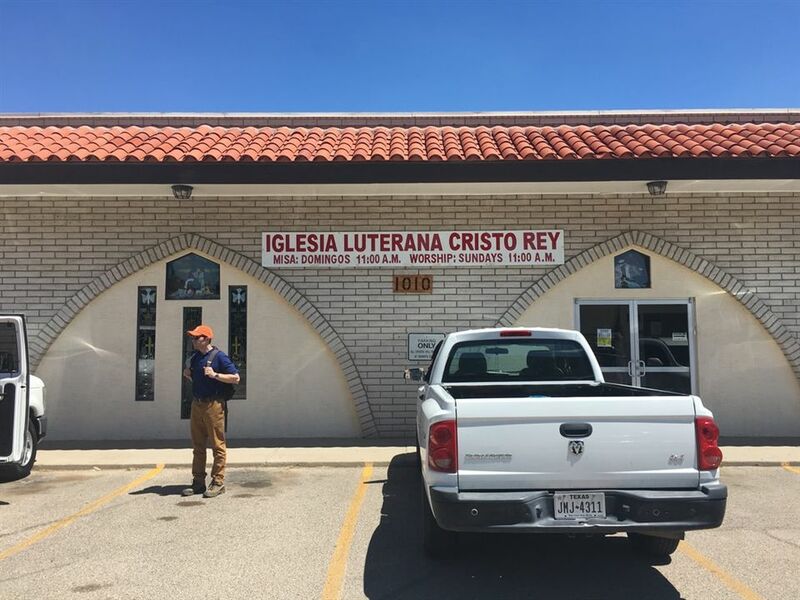 We had a brief break, and were planning to head from our church to Cristo Rey, when we learned of a march taking place in downtown El Paso to protest the separation of families, so we decided to head there and join and observe. 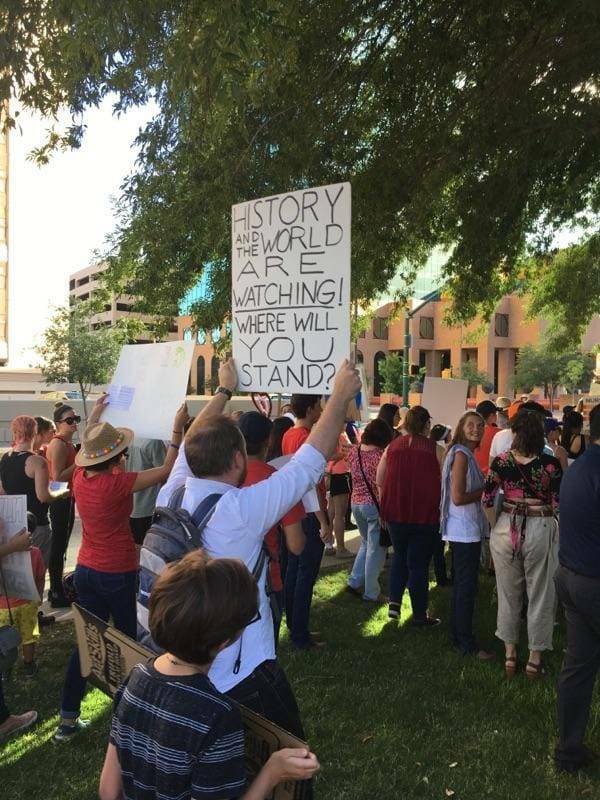 Regardless of one's stance on the issues, it was very a very powerful experience -- we got a firsthand glimpse of people exercising their First Amendment rights in a peaceful way. We then headed to dinner at Andale to eat some more authentic Mexican food and listen to a live Mariachi band. Our friend Soledad, whom we'd visited earlier in the week in las Colonias, joined us for dinner, and was serenaded by the band. We later learned that the song they sang to her is a song her husband sings to her on the phone -- she's not seen him in 10 years, but her children recently got her a phone so she could speak to him, and he sings that song to her every night. It was very moving. Today is another very busy day. 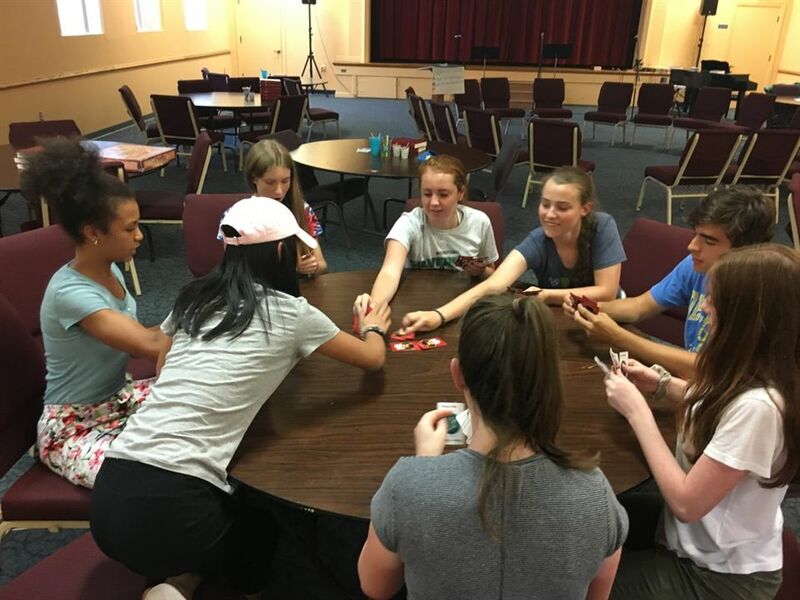 We have a service project, where we'll be putting together backpacks for the campers -- the supplies were bought with the funds we raised running the Kids Korner at Spring Fling last month. We're then headed to White Sands National Monument for some fun, a sunset hike, and sharing of our personal leadership stories. We're having a great time and learning a lot, but we're also very excited to come home and share with everyone what we've learned and experienced. We'll see you very soon.